Broaden your experience of the ever beautiful Canary Islands with this fast and efficient service to get you from Lanzarote to Fuerteventura. Our Ferry Service is not only the best and most reliable way of getting from one island to the next, but it also allows you to enjoy a relaxing experience on the way, as you marvel at the breath-taking views of the majestic Atlantic Ocean. 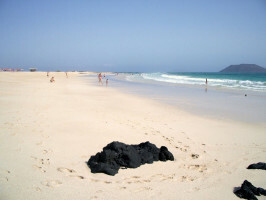 Lanzarote is without a shadow of a doubt one of the most charming islands of the Canaries, but it cannot be compared to the natural splendor of Fuerteventura, where white beaches contrast with bright blue skies the likes of which you had only previously seen on postcards or dreams. 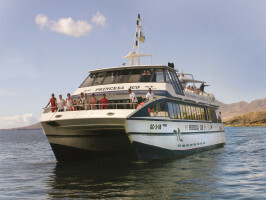 To reach this heaven on Earth, all you have to do is head to the Playa Blanca harbor and hop onto our comfortable ferry. The very moment you set foot in our boat, you can easily leave all your worries back on the shore that diminishes behind you. From here on it is only going to be pleasure and relax. You will soon at the magnificent heart of Corralejo, from where it is very easy to head off and explore the whole island. Regular, daily sailings throughout the year make it easy to explore the island at your own pace. What’s more, bus transfers can also be arranged to and from Playa Blanca harbor in advance, all of this for your maximum comfort. Costa Teguise: at 7.45am summer - at 8.45am winter. Puerto del Carmen: at 8.15am summer – at 9.15am winter. 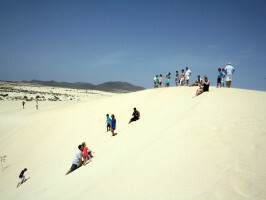 Costa Calero: at 8.50am summer – 9.50am winter. Playa Blanca: at 8.20am summer – 9.20am winter. 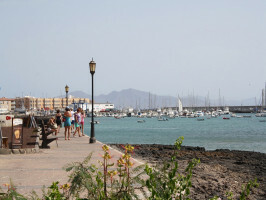 Playa Blanca Harbour (Lanzarote): 9.30am – 10.30am – 12.00pm and 4.15pm. Tuesdays to Fridays( from 1st of July to 30th of September) and Saturday. Summer at 9.30am - Winter at 10.30am. 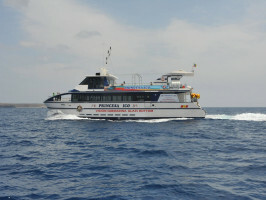 Corralejo Harbour (Fuerteventura): 10.30am – 11.30am – 1.00pm and 5.15pm.